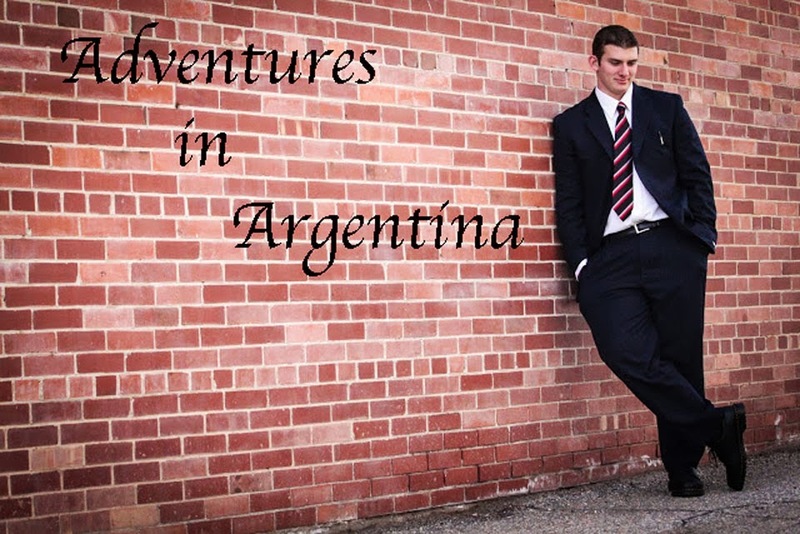 Adventures in Argentina : Buenos Tardes! I am still in Georgia for now. I'm getting so anxious to leave because I heard that Tyler North who is serving in the Buenos Aires West mission, already got his travel visa and I am still here in Georgia! Ahh!! But Georgia is still great! I am in an area called Jonesboro. I am still on foot. I have lost 20 lbs. since I have been in the field. I don't know if that is healthy. It's probably because I walk all the time and sweat non-stop. Gross. I am speaking English and I kind of like it because I can communicate and tell people how I feel about the Gospel. I still have language study most of the week and if we end up talking to a Hispanic, I can talk right to them! The biggest thing that I learned here so far in this area, is that white people are the worst! They are so prideful and won't even let us say a prayer with them. Everybody else has us come in, give us some water and talk with us. Although, some people like to bash with us and they just end up contradicting themselves so it's kind of useless. My companion's name is Elder Billings. He is Layton, UT and he has been out for a year and a half. He and I get so much work done. We are opening up a brand new area and so it's kinda hard with getting the investigator pool running. But we do have some new gators. We met this guy our first day in our area named Anthony. Anthony lives in the apartments behind us. We found him sitting on the stairs and we just came up and talked to him. Anthony is a senior in high school and he is 18. He said he has been looking for a job for 6 or 7 months. So we taught him the Restoration and how the Book of Mormon can help him find a job. After our first brief lesson with him, we invited him to baptism once he knew these things were true. He said yes! We came over the next day and used the Restoration pamphlet to explain the Restoration clearer. After the lesson, we asked him to be baptized on the 21 of September. He said yes and that he would prepare himself. 2 days in the area and we have a person on a baptismal date! Aww yeah! This ward is so on top of missionary work too. Every member is willing to help and we get a couple referrals every now and then. But the mission leader has got it down to a science! They have a calender for who can come out and do teamups with us. I can't really explain more than that but, this ward has "caught the wave." In my personal studies this week, I finished Mormon. First off, Mormon was a stud. 16 years old and leading the Nephites into battle? I mean, what's cooler than that? Anyway, I was reading the last chapter of Mormon and it talks about trusting in the Lord. I invite everyone to read Mormon Chapter 9 and ponder about what you could do better in trusting in the Lord. I've also decided to work on a Christlike attribute every week that is in Predicad Mi Evangelio. I am going to work on Faith in Jesus Christ. What are you going to be working on? That is my invitation for this week, sorry my letter is so short, but that's all that has been going on. I love you all so much and I love P-Day so that I could look at all the letters that I have. This church is true. I go out everyday and my testimony grows stronger and stronger from all the people that accept the Gospel and just see happiness come into their life. The Book of Mormon is the word of God. Joseph Smith translated las planchas de oro por el poder de Dios. Esta iglesia es la iglesia que Jesucristo establicio en su perido. Yo se que Thomas S. Monson es el profeta que tenemos hoy dia. 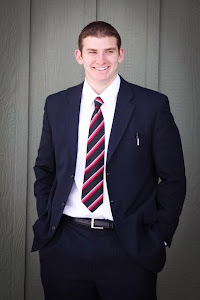 Grant (Elder Evans)....you are awesome!...an inspiration to me. I have a testimony too! Isn't it great? Thanks for your service in the field wherever you are....Buena Suerte Elder! Keep up the good work.